Maitreya Enterprises is a one-stop destination where you can avail efficiently designed Glass Epoxy Machined Parts. We offer these Glass Epoxy Machined Parts (Glass Epoxy Machined Parts) in varied thickness, shapes and flatness. 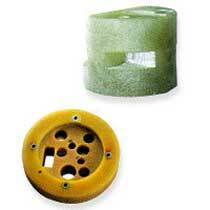 We are counted as one of the prime Manufacturers and Exporters of Glass Epoxy Machined Parts in India.